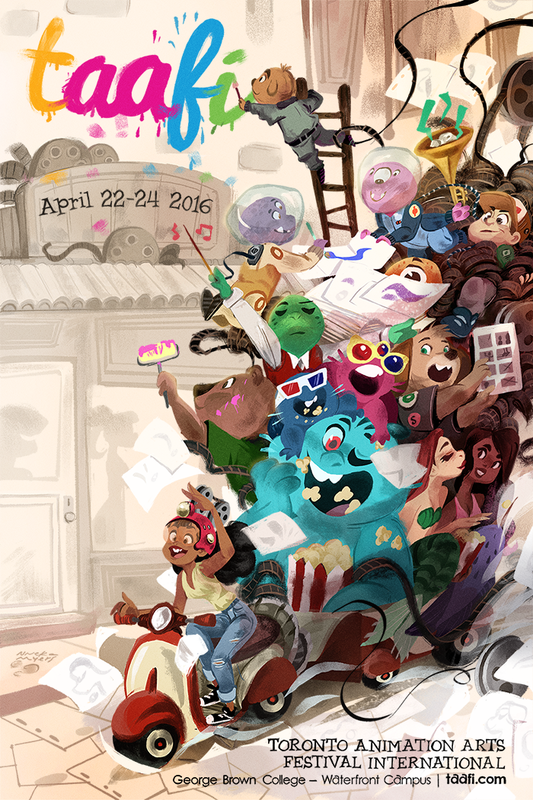 After a one year hiatus, the Toronto Animated Arts Festival International (TAAFI) will resume on April 22 and run through April 24. The Friday and Monday will feature workshops with industry veterans such as Eric Goldberg, Samantha Youssef, Michel Gagné and others. The weekend is dedicated to screenings from around the world, including the world premieres of the features Spark and Nova Seed. Other guests include Marv Newland, Audu Paden, Michael Rianda, Stevie Vallance, Willie Ito, Jerry Eisenberg and Tony Benedict. Early Bird discount passes are available until March 22. The website, with more complete details, is here. You're gonna have some fun stuff to talk about in a few weeks when the BC Fin Min announces he's replacing their film tax credit with a grant system. Toronto will get a huge amount of that work, and it'll be interesting to see if TAAFI and animation artists in Toronto will celebrate the influx of work that the fall of the west coast will bring to Ontario, at least temporarily.